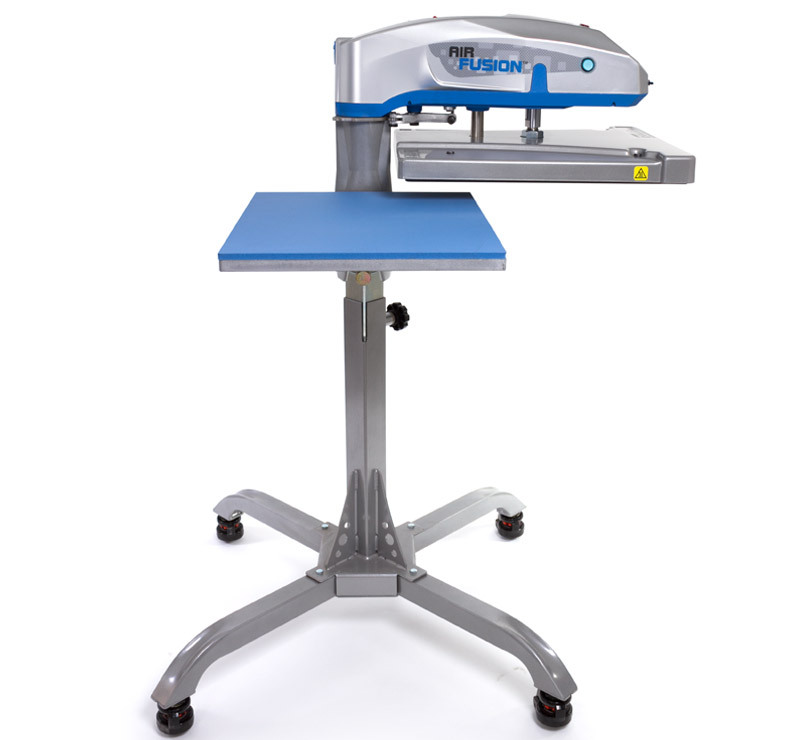 This heavy-duty version of the FUSION® Heat Press is designed for high volume work powered by an air compressor. 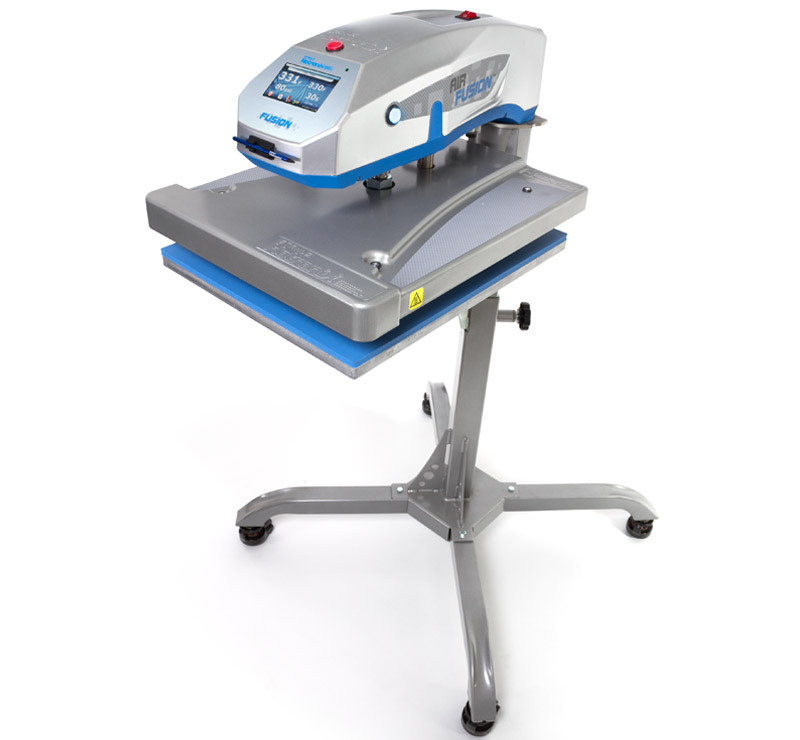 Easily threadable, with convenient EZ-On platens and hands-free auto-swing, it sets a new standard for heat presses. High-tech power with superior ease of use. 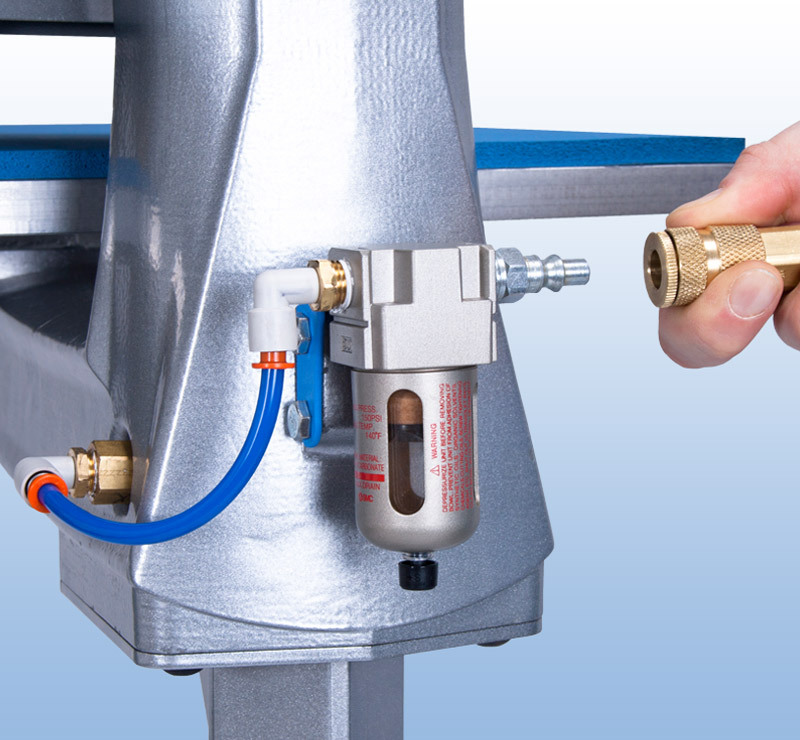 Pneumatic regulator which auto-adjusts pressure. Adjustable pedestal stand 37" - 44"
*Requires air compressor (not included) with minimum 1/2 horse power and 5 gallon hold tank. Uses 2.3 CFM. Operators Manual. 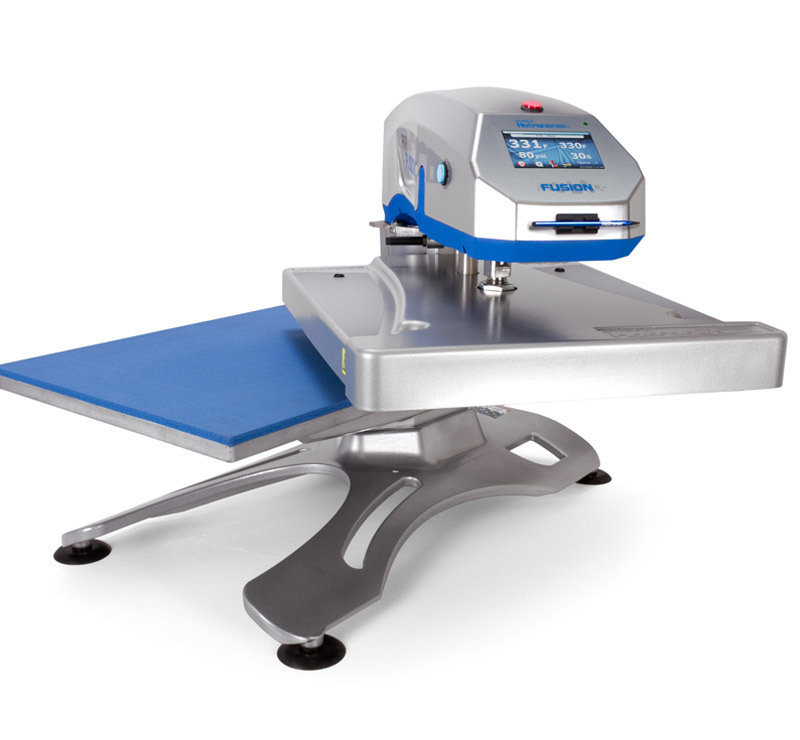 Download the Hotronix Air Fusion Operators Manual. Download the Hotronix Air Fusion Operators Manual in Spanish. Shipping Dimensions: 37" x 24" x 24"
Can the Air Fusion be used for direct to garment?